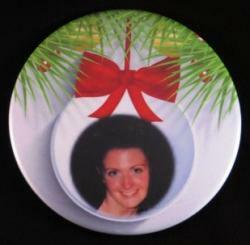 Choose either a 3" personalized refrigerator magnet or 3" metal back pin. Personalize with your loved ones picture. Orders over 250, contact us.